We highly recommend grout sealing or color sealing following our deep cleaning service. Once your tile any grout is completely clean, you’ll want to protect your grout and keep it looking great. Hi-Tech Cleaning Services can provide these services. Grout sealing is a clear sealant that penetrates the grout surface to form an invisible, protective barrier against spills, stains, dirt, bacteria, and other pollutants. When your grout is sealed, your regular cleaning becomes easier and more productive. It also ensures that the next time you have your tile and grout professionally cleaned, you’ll get the best possible results. 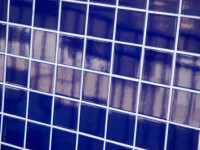 Are you aware of all the benefits of Grout Color Sealing ? Watch our video to learn more about the advantages of grout color sealing. You’ll see why this is such a popular service in both residential and commercial settings. Tired of your grout lines looking dirty? Thinking of having them sealed? Watch this video, The Advantages of Grout Color Sealing, to learn the difference between clear and color grout sealer and the advantages of color sealing. Color sealing will give the grout a brand new look. Hi-Tech Cleaning Services’ color grout sealant is the most optimal grout restoration service, producing dramatic results. Permanently stained grout can be restored to like new or better with our exclusive color sealing system. You can expect to see uniform grout color throughout the entire floor. In addition, color sealing provides a waterproof seal and a constant acting mildicide. Like grout sealing, color sealing extends the life of your grout and makes regular cleaning more productive. Contact us online 24/7 or call (914) 423-4600 to learn more about grout sealing and color sealing, specialty cleaning, stone and tile restoration, and our emergency damage removal services in Westchester County, Yonkers and the NYC Area.ea.